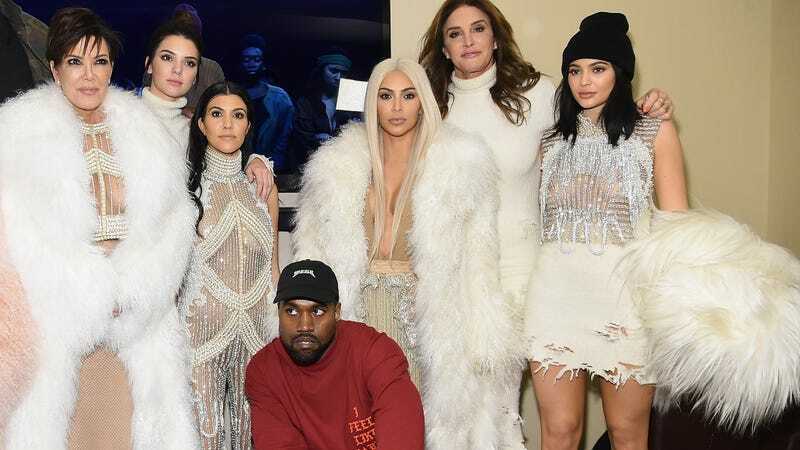 Kris Jenner, Kendall Jenner, Kourtney Kardashian, Kanye West, Kim Kardashian, Caitlyn Jenner and Kylie Jenner attend Kanye West Yeezy Season 3 on Feb. 11, 2016, in New York City. Free thought is for white people. Kanye is a multimillionaire whose celebrity, bank account and white wife slightly distance him from the reality of blackness. But only slightly. He gets to enjoy the privilege of having his accomplishments and his talent be tethered to his face. When the world sees him, they immediately recognize him as Grammy-winning rapper and music producer Kanye West, and not as a random black man. White people get to enjoy that privilege, too. White people can use their “free thought” to ignore the historical ramifications of 400 years of slavery and Jim Crow because it never affected them. A white man telling me to overcome the effects of slavery is like a zoologist telling me where to find a unicorn. Every society is built on the precedent of the past. It’s how laws, politics and the economy work. School funding, wage inequality, the racial makeup of neighborhoods, drug laws, college exams and every aspect of the criminal-justice system are still wet with the remnants of slavery and Jim Crow. But more than that, I want her to be alive. A few weeks ago, after the national gun-violence walkout, I asked her if her school participated. She told me that the school set a time for the walkout and allowed students to exit the classrooms in an orderly fashion and go outside. But she told me that she refused to participate and stayed inside. When I asked her why, she explained to me that the administration had organized everything and made sure instructors wouldn’t penalize students who walked out. “I didn’t do it because—to me—it wasn’t really a protest,” she said.